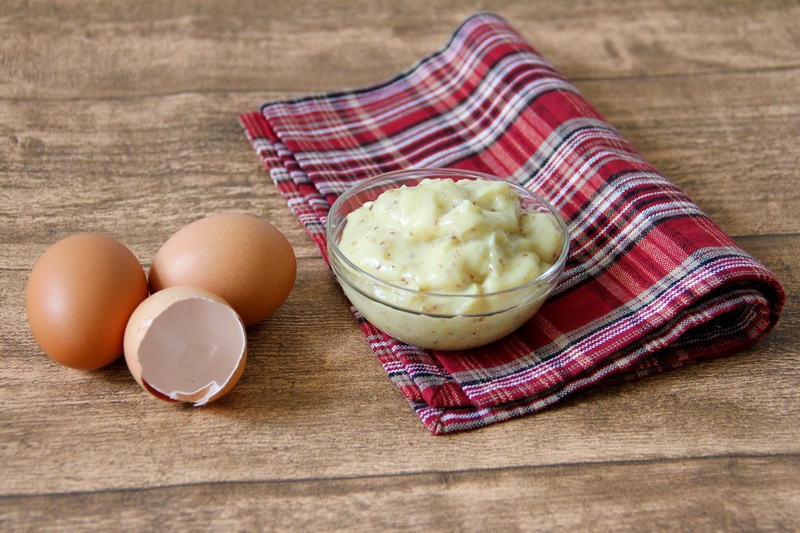 There are two reasons I am publishing this blog post; first of all because a homemade Mayonnaise is always better than a store-bought. 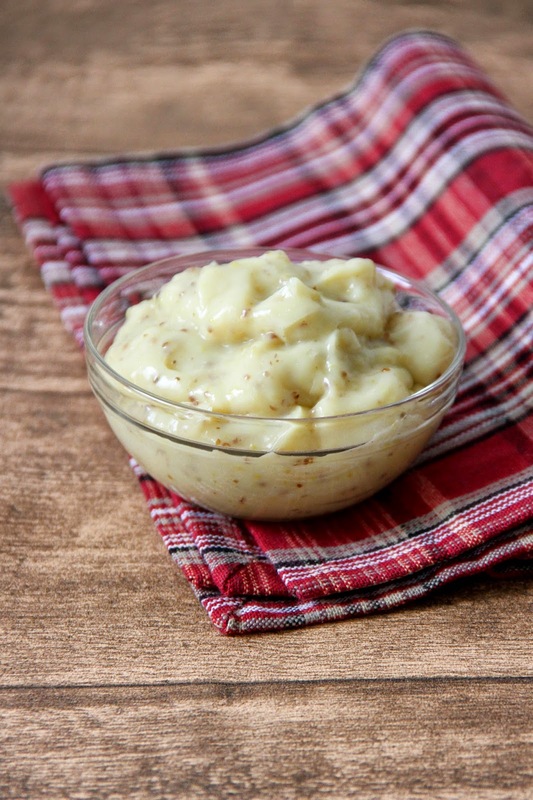 The intense natural flavors of a homemade mayonnaise give all your dishes a certain extra taste. You may add it to your potato salads or a cocktail sauce for your shrimps. But I can guarantee once you've prepared these with a homemade Mayonnaise you will never turn to an industrial one ever again. 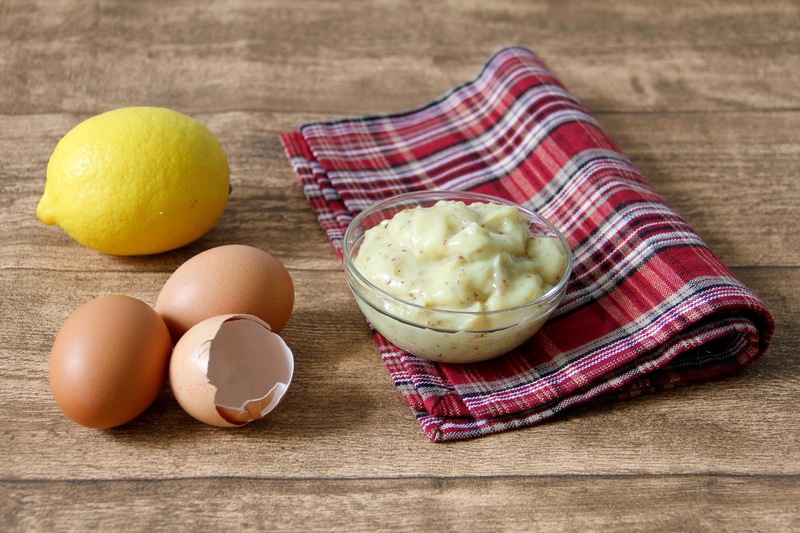 The second reason is, in case you have not yet been convinced by the first argument, because being able to make a homemade Mayonnaise can save your dinners, barbecues or other food gatherings when you have spontaneous guests showing up at your house. I was in that situation several months ago, when a friend came by, stayed for dinner and I wanted to prepare my legendary salad dressing. I don't need much Mayonnaise for this, but however it always adds a little something to my favorite sauce. In that very moment I was a bit panicking, but as I have already tried to make it before I could sill remember how it works. 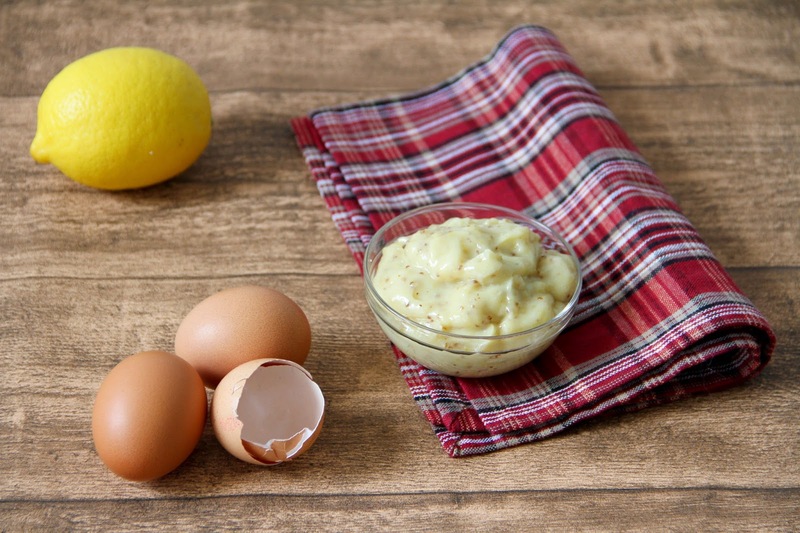 Homemade Mayonnaise is not as delicate as you think. You can keep it several days in your fridge. I have several recipes I want to share with you within the next two months, for which I will need some Mayonnaise. This is the very simple version; you can also play with herbs and add additional flavors to it. Moreover you can choose between different types of oil, to give your own recipe your personal note. Depending on what I eat it with, I love putting chives to it. I have a little herb garden, and according you the dish I need my Mayonnaise for, I add chives or cilantro. I know that some of my friends even add Cognac to theirs. But I am not so much of a fan of alcohol in my dishes. 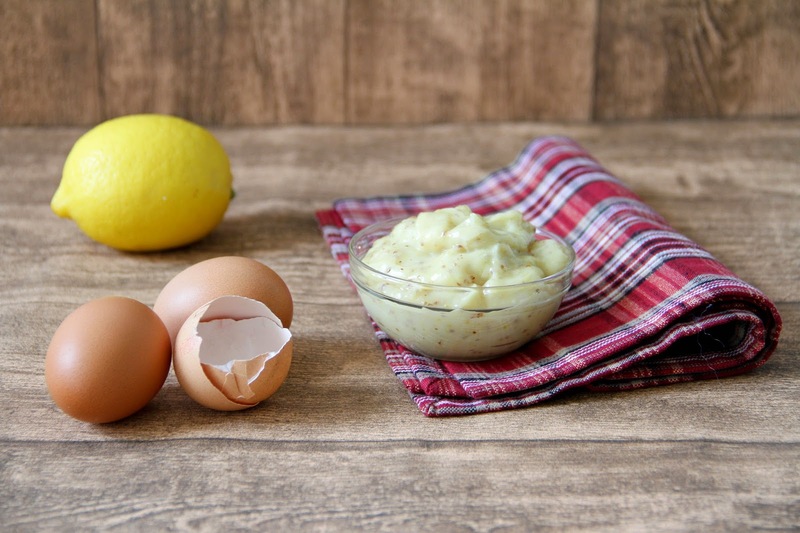 To start with your Mayonnaise make sure that the eggs and the mustard have the same temperature. In a large bowl whisk together both ingredients. Slowly drizzle the oil to your egg-mustard mix while you keep constantly whisking until you get a compact mixture. Now the Mayonnaise should have thickened and you can pour the rest of the oil to it. Add the lemon juice and possibly some herbs if desired.